While the number of businesses investing in IoT across all markets continues to grow, recent research shows that 60 percent of IoT initiatives stall at the proof-of-concept (POC) stage. This highlights that companies today are still struggling with the key challenges of IoT, including the need for more flexibility, greater security, and the ability to address new use cases. 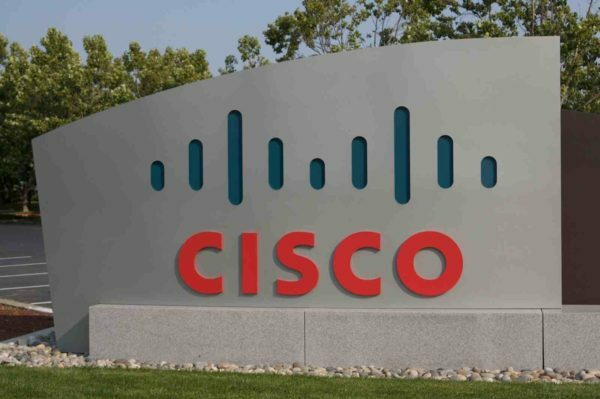 Cisco Jasper has been partnering with service providers to help its customer base, which has grown from 3,500 to 11,000 enterprises in the past year alone, to overcome these challenges and accelerate their IoT success. To continue to meet the exponential demand for IoT solutions, and in keeping with Cisco’s dedication to helping customers get from paper to successful IoT deployment more quickly, today Cisco Jasper introduced a new expanded model to bring the benefits of its IoT connectivity platform – Control Center – to a broader audience. Advanced Capabilities: A new tier of the platform – Control Center Advanced – caters to customers with more sophisticated deployments that need greater capabilities, including advanced security solutions, automation and analytics. Premium Services: The introduction of our first two Premium Services, compatible with Control Center, enables customers to solve for previously unmet IoT business needs. The Threat Protection & Smart Security (TPSS) service provides an IoT-specific solution to protect against malware and other cybersecurity threats, and is built on Cisco Umbrella. The second service, Traffic Segmentation, provides a new solution to support different types of revenue generation models. Cisco Jasper service providers can customize Premium Services to meet their customers’ specific needs. LPWAN Support: Control Center 7.0 extends the platform’s capabilities – including the platform’s global reach and scale via support for cellular networks – to low power devices via support for multiple LPWAN technologies, including NB-IoT and LTE-M.
Multi-layer Security: Expanding upon Control Center’s existing security capabilities, users now get multi-layered security controls including closed user groups, two-factor authentication, whitelisting capabilities and more to identify and solve known issues. Collaboration: Integration with Cisco Spark gives users the ability to easily collaborate on issues with connected devices, enabling them to lower resolution time and manage costs. Enhanced Analytics: New reports on historical trends of device behavior and usage enable users to take action on issues that impact performance, costs and security. Support for Low Power Devices: Control Center 7.0 is the first commercially available IoT platform that supports the management of IoT devices across cellular, NB-IoT and LTE-M networks to accommodate a wide range of use cases. With Control Center 7.0, Cisco Jasper has created a single, integrated solution to address the needs of both Information Technology (IT) and Operational Technology (OT) professionals. Previously, Control Center – which automates and manages connectivity of devices on cellular networks globally – was a standalone offering. Today, Control Center 7.0 is yet another proof point of Cisco’s leading innovation in IoT solutions, and is now compatible with Cisco’s broader IoT Operations Platform, which integrates Connection Management, Data Delivery and Fog Computing for a complete end-to-end solution. And this complements the Cisco DNA offerings, which are delivering the next generation of networks to provide new levels of security, analytics and automation to enable exciting new IoT, cloud and mobile experiences. As a result, customers in any industry can now manage IoT from the edge to the cloud.